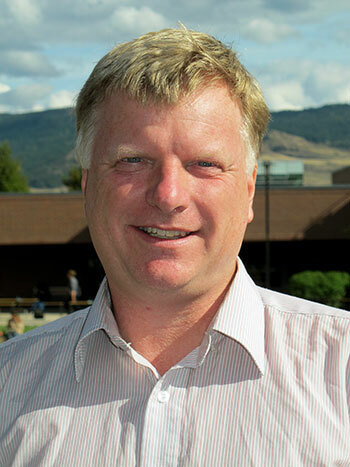 UBC Okanagan’s John Braun is one of several statistics professors making significant contributions to financial risk modelling and probability theory. Over the next five years, The Scotiabank Cybersecurity and Risk Analytics Initiative will support research and educational initiatives, including internships, speaker series, engagement activities like “hackathons,” and other collaborative events to advance our understanding of the impacts of cyber attacks and refine risk management tools. Scotiabank’s donation will support ongoing work led by UBC researchers Konstantin Beznosov and Hasan Cavusoglu, who specialize in cyber attack research and the human, social and economic issues concerning privacy and security. Statistics professors Natalia Nolde, Harry Joe, and UBC Okanagan's John Braun, are making significant contributions to financial risk modelling and probability theory. The donation will also support the Creative Destruction Lab West (CDL West) at the UBC Sauder School of Business, an extension of the Scotiabank-supported Creative Destruction Lab at the University of Toronto’s Rotman School of Management. CDL West helps entrepreneurs transition from science-based innovations to high-growth companies. “There is an urgent need to advance our understanding of information security and financial risk management in an ever more connected, complex world. Thanks to Scotiabank’s generous donation, leading UBC researchers can now deepen their knowledge and train the next generation of financial risk analysts and cyber security experts,” says Professor Santa J. Ono, UBC president and vice chancellor. Scotiabank is Canada's international bank and a leading financial services provider in North America, Latin America, the Caribbean and Central America, and Asia-Pacific. They are dedicated to helping some 23 million customers become better off through a broad range of advice, products and services, including personal and commercial banking, wealth management and private banking, corporate and investment banking, and capital markets. With a team of more than 88,000 employees and assets of $887 billion (as at January 31, 2017), Scotiabank trades on the Toronto (TSX: BNS) and New York Exchanges (NYSE: BNS). For more information, please visit www.scotiabank.com or follow them on Twitter @ScotiabankViews.